Hemp hearts are natures #1 best source of vegetarian complete protein. Period. Perhaps the first thing that needs to be said about hemp hearts and other hemp products is that they're not drugs! Hemp hearts (the shelled hemp seeds), hemp powder, hemp oil and other hemp products contain very trace amounts of THC (which is the active chemical that makes marijuana illegal). You'd literally need to eat about 5 pounds of hemp seeds in a day to get a "low dosage" of THC and then on top of that, digest all those seeds properly to absorb the THC. To give you an idea of that quantity, It takes me a couple months of eating hemp hearts daily to get through five pounds of them! Out of hundreds of different subspecies of hemp, only 2-3% are considered to have high enough amounts of THC to be labeled as marijuana. On top of that, the female plants must be kept separate from the male plants during their growth cycle to prevent fertilization which greatly lowers the THC content of the female plants (something that is impossible when growing hemp in large fields for commercial use). I am merely illustrating that hemp is an extremely safe crop that can be used for food, textiles and other products and is unfairly judged by mainstream misunderstanding. In this article I will be focusing mainly on the hemp benefits as a food but will include a little bit on how non-food hemp products could save the environment from complete destruction. Longevity in humans is not possible without a hospitable planet to live on! Hemp hearts are a source of vegetarian complete protein. Averaging at 22.5% complete raw food protein, hemp hearts are a great staple in any plant based diet. Hemp protein sources are much healthier and much more assimilable then beef (which is of an equivalent protein percentage) or other animal sourced protein. It also contains significantly less saturated fat and has poly-unsaturated fats in it's place (as well as carbohydrates, fiber, vitamins and minerals). Hemp protein is composed of 65% globular edestin which is considered the most easily digestible form of protein found in the food chain (animal proteins are usually very hard to digest and in the case of casein, which makes up 87% of cow's milk protein, can even be carcinogenic!). 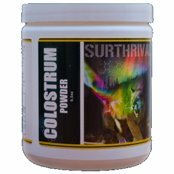 The other 35% of hemp protein is albumin, which is also another very easily digestible form. Vegan body-builders love hemp protein powders (which is hemp hearts with most of their oils pressed out) since they are so easily digestible. This means that you actually need to eat less to maintain the same amount of muscle bulk as someone gorging on animal carcasses. 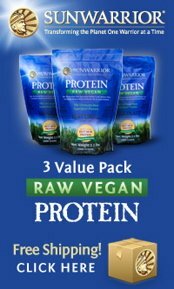 On top of that, raw food protein sources are also about twice as absorbable as cooked protein (pasteurized whey powders, cooked animal flesh, conventional heat processing of other animal products) because the level of heat used in cooking has been proven by the Max Planck Institute to destroy half of all available amino acids (which are the building blocks for proteins). Some of these heat sensitive amino acids are essential to human health and a cooked food diet is routinely deficient in them. 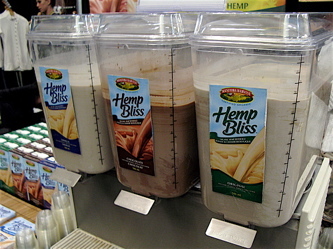 Hemp protein powders, hemp hearts and hemp milk are all hypoallergenic foods (they don't cause allergic reactions) because their raw food proteins are "soft" when compared to the types of "harder" proteins found in hyperallergenic foods such as dairy, shellfish and most non-vegetarian complete proteins. Anyone that has trouble with these foods (virtually everyone does to some degree because they're so difficult to digest) would benefit from experimenting with their diet with vegetarian complete protein sources such as hemp hearts or hemp powder. The raw food protein edestin in hemp benefits the immune system as a fundamental building block for gamma globulins. Gamma globulins are the first line of defense against foreign microbes. They destroy whatever the white blood cells tell them to. Nanobacteria, viruses, toxic fungi, bacteri, cancer cells, dead tissue and internal waste toxins are no match for your immune system when it's armed with these gamma globulins. Hemp hearts are the highest source of edestin (gamma globulin building material) of anything on the planet. Arm your immune system to the teeth so that it becomes a "no mercy" killer of foreign invaders; eat hemp products! You can find high quality organic hemp seeds at a great price and in various bulk quantities by clicking this link. Hemp oils have the most well balanced composition of EFA's (essential fatty acids) needed for human health found in nature. Hemp hearts are on average 30% fat. 80% of this portion is composed of the EFA's Omega 6 (linoleic and GLA) and Omega 3 (ALA), both of which are polyunsaturated fats. These are healthy fats which have time and time again proven to be beneficial to the cardiovascular system (unlike the excess saturated fats found in animal carcasses which cause heart disease and numerous other problems), our skin and our immune system (from their anti-inflammatory properties). Also, these fats don't cause weight gain, yet they'll help you burn excess body fat. Hemp oils nourish and feed the intestinal tract, the kidneys, the lungs, the brain and the eyes. The omega 3's and 6's found in hemp oil are in the ratio of approximately 3:1 to 4:1. This is exactly between the ratios recommended by the World Health Organization and the fat and oil expert Udo Erasmus. Hemp hearts are the only food that has this ideal balance. Of course throughout your day you will eat a variety of foods and if you know what foods contain which types of oils, you can keep your diet inline with this ratio. The average person eating a standard American diet is getting a ratio of omega 6's to omega 3's at 20:1 or even as severe as 50:1. This causes major imbalances in the body and is precisely why you have been hearing all this craze about omega 3 fats. Once you are eating a balanced plant based diet however, you need to not overdo the omega 3's and aim roughly for the 3½:1 ratio of omega 6's to omega 3's. Hemp butter is a fun product that is made from crushed up hemp hearts with some extra hemp oil added back into it to make it the right consistency. With hemp butter and hemp oil (and to a lesser extent hemp hearts and hemp powders) you have to make sure that you keep them refrigerated and in tightly sealed dark containers. Hemp oil is extremely volatile and will go rancid quickly with improper storage. Even with proper storage it is best not to purchase large quantities of hemp butter or hemp oil at a time (unless you keep it frozen) since it will go rancid due to oxidation from air exposure (opening and closing the lid) quicker than things like olive oil or other nut butters. GLA (gamma linolenic acid) is an omega 6 oil which is rare in most foods. About 1-2% of hemp oil is GLA. Mother's milk is the highest whole food source of GLA with runners up being spirulina (#2 highest whole food source), hemp hearts, evening primrose oil, borage oil and black currant oil. Hemp oil contains less GLA than spirulina but it is such a rare nutrient that it's worth getting it from a few sources. Hemp benefits your GLA requirements because you are able to eat it in greater quantity then spirulina and the other sources of GLA just mentioned. Those who were raised on limited amounts of, or no human breast milk, are often recommended to add these live superfoods into their diet to help make up for the lack of it at the time of their crucial development years. GLA is highly anti-inflammatory and helps inhibit the release of histamine (the excess of which causes allergies). Most importantly, the GLA in hemp benefits the entire endocrine system by building hormones and brain tissue. I personally use hemp hearts much more frequently than other hemp products. Since I use hemp hearts as my major source of vegetarian complete protein, I freeze five pounds or more at a time in my freezer. I can then take small amounts out at a time to keep in the fridge which prevents oxidation of the volatile hemp oils. The limited processing of hemp's seed means that there is less chance of oxidation compared to hemp oils, hemp butters or hemp protein powders. Try the various products and see which ones you like the most! My advice would be to avoid all cooked hemp products because these will have major heat damage both to the volatile oils as well as the raw food protein contained within it. Since it can absorb high amounts of minerals from soil, hemp benefits anyone with mineral deficiencies (so do virtually all live superfoods). If grown in in good soil, hemp hearts can contain: phosphorus, calcium, potassium, silica, magnesium, iron, sodium, sulphur, chlorine, manganese, zinc, copper, platinum, boron, nickel, germanium, tin, iodine, chromium, silver and lithium. Hemp hearts also contain a few good vitamins: E, C, B1, B2, B3 and B6. Hemp hearts are a very unique seed as they contain chlorophyll. This green antioxidant (responsible for the green colour in all green plants) is one of natures best detoxifiers and alkalizers. Also, hemp hearts do not require pre-soaking like most nuts and seeds. You can find high quality organic hemp seeds at a great price and in various bulk quantities by clicking this link. Increasing longevity in humans in the coming years won't be possible unless we can quickly find sustainable solutions to the extremely damaging commercial and industrial practices that are occurring worldwide. Aside from making my list of superfoods, hemp has a multiplicity of uses as an environmentally sustainable, incredibly cheap and high quality raw material. It has been proposed by many people that the current legal difficulties regarding growing hemp for commercial products is in large part due to the threat it poses to the auto, oil, paper and textile industries and not the psychoactive properties of some hemp species. 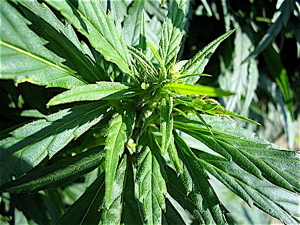 Hemp crops take four months to reach their time of harvest. They can quickly produce large quantities of raw material that can create better quality products than what the current industries just mentioned are able to produce. 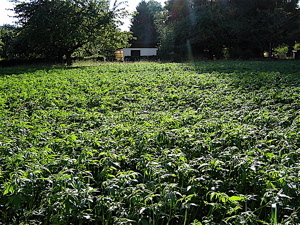 Here's a quick breakdown: Hemp yields 8 dry tons of fiber per acre which is four times the yield of an average forest. Take into account that a forest takes a minimum of 20 years to grow, where as hemp takes only four months and you'll see a massive waste in the destruction of the planets forests for paper. On top of that, hemp paper is stronger and lasts centuries where as tree based paper lasts mere decades. Hemp paper can be recycled ten times where as tree paper can only last through two recycling cycles before it starts to decompose. Hemp oil can be used both as a bio-fuel (with much greater yields than corn bio-fuel) as well as a source of oil to make plastic containers/products that are 100% biodegradable. An experimental automobile made with a hemp resign body designed by Henry Ford proved to be lighter than steel framed cars which allowed it to be more fuel efficient. Add to that that it could absorb blows ten times greater than what steel frames could withstand and you just have to cringe at the thought of what type of person prevents these types of technologies from becoming mainstream. Seriously though, the level of greed and lack of care for fellow humans at the core of people who have made decisions to block these advancements is not even conceivable to me. That being said, some of these technologies are beginning to emerge. Canada is a leader in this and there is growing interest in the U.S. to finally lift the ban on growing hemp for commercial purposes. Keep in mind that THC is almost non-existant in 97% of the sub-species of hemp. Hemp products are one very likely way plants can help save humanity from killing themselves off. In the mean time you can strengthen your body with hemp hearts so that you can help create this much needed change in the world. Click to return from "hemp hearts" to the "live superfoods" page.